One of the best ways to smooth your cash flow and ensure that your business can run efficiently is to acquire a small business loan. Even the biggest companies in the world regularly use credit in order to fund equipment purchases, buy inventory, and make payroll. If you want to smooth your cash flow, a small business loan makes sense. If you want to be successful with your business loan application, you need to have a business plan. Whether you are presenting your business to a bank or an investor, you will want to be perceived as serious and capable. A business plan is the first step to achieving this. At the very least, you should be able to show some projections of what you expect to earn, and be able to show that you will be able to repay the loan. Even when you are applying for an SBA loan, you should have this information available. Don’t forget that you need to know your stuff. On top of a business plan and a loan proposal, you should also have documentation about your personal assets, and your business assets. This includes tax returns and other documentation that shows how you run your business, and that you are ready to take on this loan. Don’t forget to bring reports of sales if you have them, and plans that illustrate how marketing efforts will grow your business in the future. If your business is more established, you might already have some business credit. In order to set up a business credit file, you need to register with a business credit bureau. Experian has a business bureau, but one of the most used business credit reporting agencies is Dun & Bradstreet (D&B). Set up a file with a business bureau, and ask that your suppliers report your payments. You can also get a business credit card and register for that to be reported on your business credit file. 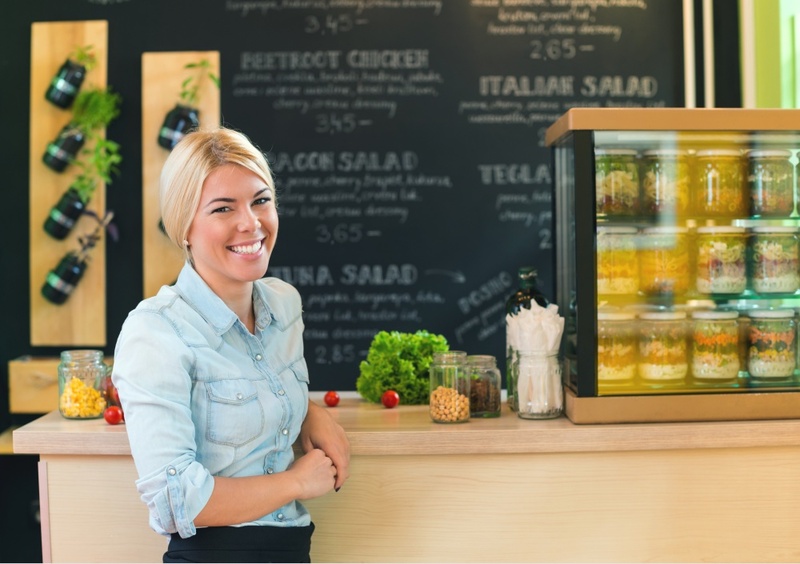 For business owners without established business credit, be aware that you will have to use your personal credit as part of the loan application process. Your lender will want to know that you have the personal ability to cover payments if your business doesn’t do well. Check AnnualCreditReport.com to make sure your credit report is accurate, and use consumer credit sites like ScoreSense to get a general idea of where you stand in terms of credit score. When you have good credit, you are more likely to get approved for a small business loan, and receive better terms. What’s the smallest amount you can borrow and still make your business work? If you don’t have business credit, and you are worried about your personal ability to pay, it makes sense to start small, if you can. As you make your payments on your affordable loan, you will build your business credit, and eventually be able to get a bigger loan. One of the easiest ways to establish your business credit is to get a business credit card. You may have a low limit to start, but as you use the card and pay on time, the limit will grow -- and you will eventually move to the point where you might be able to qualify for a loan backed by the SBA. Don’t forget to shop around for a loan. Sometimes, if one lender turns you down for a loan, another will be willing to take a chance. There are a number of aggregators online that can help you shop around for a business loan that fits your needs. You can enter your information once, and then receive bids from various lenders. Sometimes, even after all that you do, you won’t get the small business loan that you want. This means that you should also consider alternative funding. There are a number of other places to receive small business funding, from crowdfunding sites like Kickstarter to investment crowdfunding. There are also alternative places to find P2P loans. While the SBA loan might be preferable, you might not qualify, and it could be that you find yourself unable to meet the requirements, or a traditional lender might not be willing to provide you with the funds. In these cases, you can turn to alternative sources for funding. You might be surprised at the options available to you. No matter where you go for funding, though, you will need to show that you have a good plan, and the ability to repay the loan. Even those who fund Kickstarter campaigns like to see that you are competent, and that you are ready to do what it takes to make your venture successful. Additionally, P2P lenders like to know you are likely to repay the loan, and investment crowdfunders want to know that their investment is safe. So, even if your plan is a little less formal for alternative funding, you should still be able to outline your business, and the steps you will take to achieve success.